Muslim father of woman who left Islam accuses noted lay leader. NAIROBI, Kenya (Morning Star News) – Police in eastern Uganda on Sunday (Feb. 26) arrested an evangelist after a Muslim accused him of kidnapping his adult daughter, who had taken refuge with the Christian after leaving Islam, sources said. 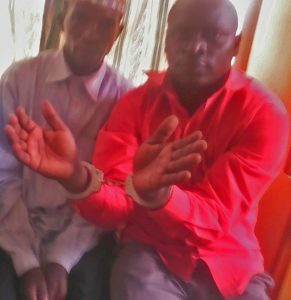 In an effort to defame Hassan Muwanguzi and stir up Islamist sentiment against him, Nghangha Mubakali accused him of kidnapping and making a human sacrifice of his daughter, Muwanguzi told Morning Star News by phone from his jail cell. He said Namusisi Budadu Biryeri, 21, had taken refuge with him after her father beat her for putting her faith in Christ in 2015. A former sheikh (Islamic teacher) widely known in the area – and long persecuted – Muwanguzi said he was at his home in Kabuna village, Budaka District leading a Bible study with former Muslims when he saw a group of armed police officers enter his compound at about 10 a.m.
Officers held him there for one hour, and then took him to Tirinyi police station and filed a case against him, he said. On Monday (Feb. 27), several police officers began investigating the charges. Detective Ismail Mabonga, a police assistant identified only as Agaba, a detective identified only as Sgt. Bisaso, and a Nauyo Police Officer-in-Charge identified only as Tai in Mbale took Muwanguzi and Biryeri’s father to the training center where Mubakali’s daughter was studying sewing. Find Biryeri alive, the officers questioned her about her faith, and she replied that she was no longer a Muslim. Biryeri said she was beaten and expelled from home the same day she received Christ, Nov. 12, 2015. Though police saw that Biryeri is still alive, as of this writing officers were still holding Muwanguzi in custody. Morning Star News did not seek comment from police as it was deemed that it could lead to mistreatment of the Christian in custody. Muwanguzi, a married father of six children ranging in age from 2 to 14, expected police to release him soon, but he said the kidnapping charge could remain or later resurface. Several other persecuted Christians have taken refuge with Muwanguzi as their lives were in danger for having left Islam, he said. Human sacrifice is not common among the tribal practices of the area, and the bizarre accusation was leveled at him only to stir up Muslim antipathy toward him, he said. Since the former sheikh became a Christian in 2003, he has suffered repeated persecution, including losing a daughter to an Islamic extremist attack on Jun 16, 2014. 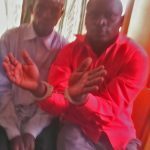 Muwanguzi was hospitalized on March 31, 2014 in Mbale after a Muslim aunt who called a family gathering in Kadimukoli village, Budaka District, allegedly put insecticide in his tea because relatives were upset at his conversion to Christianity. He has received advanced treatment for the poisoning and has largely recovered. Following his conversion in his early 20s, Muwanguzi’s family immediately kicked him out of their home, and enraged Muslims beat him, he said. His first wife was forced to leave him that same year, and he lost his job as a teacher at Nankodo Islamic School, near Pallisa. He subsequently opened a Christian school, Grace International Nursery and Primary School, at Kajoko, Kibuku District, 27 kilometers (16 miles) from Mbale; the area’s population of 5,000 people is predominantly Muslim. Muwanguzi was arrested and released on bail after nearly a month. He said the Muslims filed the false charges because he had opened the Christian school against the wishes of the Muslim majority. More than a quarter of the school’s 235 children came from Muslim homes, and they attended with the consent of their Muslim parents, he said.